Whether you’re a cord cutter or a cable-TV devotee, this is the DVR you should be using. Don’t get bent out of shape over the TiVo Bolt’s bent chassis. I reacted almost viscerally when I saw it, but the TiVo team swears there’s more to the design than just a compulsion for raising eyebrows. They tell me the angled chassis increases the airflow beneath the box, so the fan can cool its dual-core CPU and 3GB of DDR memory more effectively. Whatever. The Bolt’s features and performance soon won me over. Whether you’re a cord cutter using an over-the-air antenna, or a subscriber looking for better hardware than what the cable company offers, this is one terrific DVR. If you’re in the latter camp, you’ll need to get a CableCARD card from your service provider and install it in the slot on the bottom of the Bolt. Satellite TV subscribers, unfortunately, are out of luck because there is no CableCARD equivalent for satellite. The faster processor enables the Bolt to support 4K resolution, but you don’t need a 4K TV to take advantage of what the Bolt offers. Unlike most set-top box manufacturers, TiVo includes a six-foot HDMI 2.0 cable right in the box, so you don’t need to worry about your older cable being capable of supporting the higher resolution. Let’s go over the rest of the Bolt’s hardware configuration before diving into its usability. Apart from the TiVo logo, you’ll see just two LED indicator lights on the front of the Bolt. All of the Bolt’s I/O ports are on the back of the device. 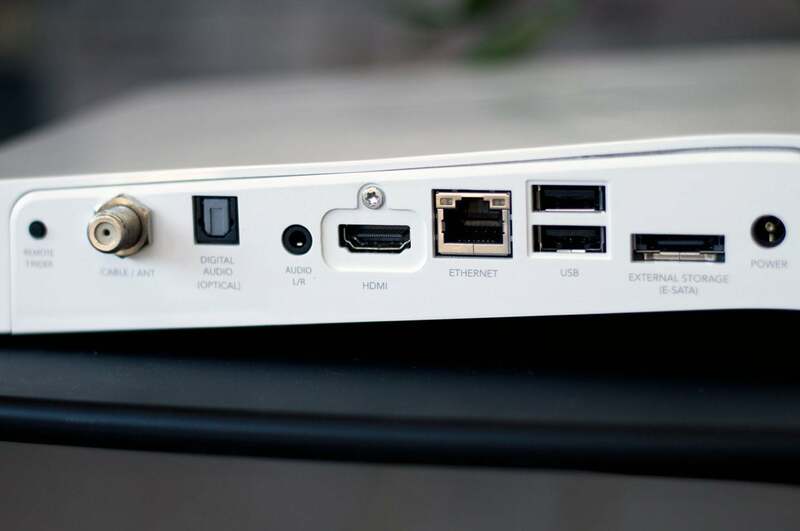 There’s an HDMI 2.0 port, of course, and a coax connector for either your digital cable service or an over-the-air antenna (the Bolt has four ATSC tuners). An optical digital audio output (and an analog stereo audio out) enables you to handle audio separate from video, which is very useful if you want to hook the box up to an older A/V receiver that doesn’t support HDMI. You have two storage options to start with: Internal hard drives providing either 500GB or 1TB of storage. Neither of those options gives you a lot of storage capacity if you plan to record a lot of 4K video and retain it for very long. You can plug in an external eSATA drive to increase your storage, but the Bolt won’t recognize drives plugged into either of its USB 2.0 ports. You can add the Bolt to your network using either its gigabit ethernet port or MoCA 2.0 (Multimedia over Coax), or wirelessly via 802.11ac. The Bolt is also equipped with a Bluetooth radio, but the company hasn’t announced how that feature will be used (it’s dormant for now). The networking options are important because the Bolt can stream content within the home using a TiVo Mini or an Amazon Fire TV set-top box. It will also find recordings stored on other TiVo boxes, including the older Roamio series . Streaming outside the home will be supported down the road. Press the button on the far left and the Bolt will cause its remote control to emit a sound to help you find it. If you watch a lot of over-the-air programming, you’ll dig the Bolt’s SkipMode: TiVo embeds tags in the recording that identify where the commercial breaks begin and end. An icon appears on the screen when a commercial break starts, suggesting you tap either the D button or the channel-up button on the TiVo remote: Press one and your program will skip directly to the next segment of the show. This is vastly superior to repeatedly tapping the fast-forward button to get through commercials, but it’s available on only 25 shows at launch (and only broadcasts between 4PM and midnight). If the shows you’ve recorded support it, you’ll see a logo next to them in your queue. QuickMode is the Bolt’s other coolest new feature. Press the Play and then Select on the remote with and the DVR will play the content 30 percent faster (1.3x normal speed) with pitch-corrected audio. Voices will sound normal—not like chipmunks—it will just seem as though they’re talking faster than normal. And you can skip back and forth between quick and normal modes as many times as you want. The soundtrack will sound different, though, especially if you’re listening through a receiver or home-theater-in-a-box system. That’s because most broadcasts use Dolby Digital, and the soundtrack will drop back to ordinary PCM while in QuickMode. Unlike SkipMode, QuickMode will work with any program you’ve recorded. This text displayed in the left corner of the frame is your cue to push a button on the remote to skip past an entire commercial break. The TiVo program guide is much better than what you’ll find in the typical service-provider’s DVR. But that’s always been one of TiVo greatest strengths. In addition to displaying live and future programming from the networks (and premium channels such as HBO and Showtime if you’re using a CableCARD), you can find on-demand content from such over-the-top services as Netflix, Amazon Prime Video, and Vudu. Services such as HBO Now, Sling TV, and Hulu, however, are currently missing in action. A unified search feature will help you find the content you’re looking for across all of these services, or you can narrow your search to live recordings only, streaming only, or both. There is no support, however, for voice search. Beyond a slight tweak in graphics—the guide now features channel logos and not just text—the Bolt’s user interface isn’t appreciably different from the Roamio’s. You still push the big TiVo button at the top of the remote to call up TiVo Central, and you still create a OnePass for each TV series that you want to record. As with the older DVR, TiVo provides lots of suggestions as to what to watch based on your expressed preferences, and you can do lots of manual exploring to find other content you’d like to see based on the casts of shows that you’ve decided to record. There’s also support for Plex if you like to rip and encode discs and store the files on a NAS box. Plex will serve digital music and photos in addition to video. Should you buy a Bolt? I awarded the TiVo Roamio OTA with a 500GB hard drive four stars, but that box cost only $50 (plus its subscription fee). 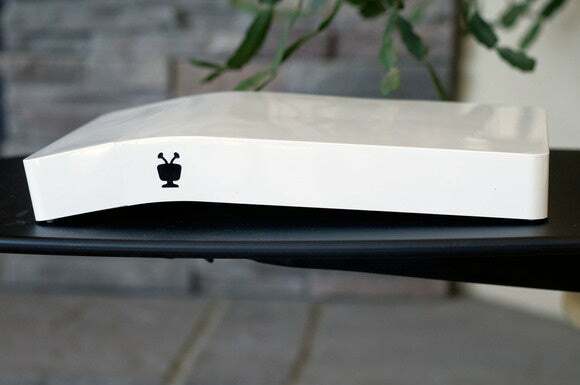 The 1TB TiVo Bolt reviewed here is priced at $400, and there’s a 500GB TiVo Bolt that goes for $300. Both prices include one year of TiVo service. After one year, you’ll be on the hook for an additional $15 per month or $150 per year for the service, because the DVR won’t function without it. The TiVo Bolt is an excellent DVR with some features—particularly SkipMode, QuickMode, and MoCA—that you won’t find anywhere else. Add the TiVo Mini or an Amazon Fire TV and you can stream the Bolt’s contents to other TVs in your home. You can mirror the TiVo iOS app to an Apple TV as well. On the other hand, you’ll still need a smart TV or a second set-top box to enjoy some popular streaming services. And while 4K support is great, there are just two apps currently delivering it on the Bolt: Netflix and YouTube. Even with those reservations in mind, you won’t find a better DVR. Correction: This story was updated after publication to report the correct pricing. Pros: 4K video support; can stream DVR recordings to other rooms in your home (requires a TiVo Mini or Amazon Fire TV); great program guide. Cons: 4K support currently limited to Netflix and YouTube; Streaming outside the home not currently supported; 500GB and 1TB drive options don't provide a lot of room for recording 4K video. The TiVo Bolt isn’t a bargain but its very strong feature set more than justifies its price tag.